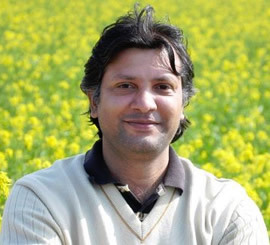 The Company Chief Executive Officer (CEO), Amer Chaudhary, is a business professional with over 15 years of experience in the field of website development and programming. Throughout his career, Amer held various salient positions in multinational corporations to build software architecture and enterprise applications. Being an entrepreneur Amir established FiberTech since then has been greatly contributing into its development and formation as one of the leading software development companies in New jersey and has successfully made FiberTech operational. For a complete list of how we can help you with your business, software, website, or project, please visit Our Services page. If at any time, you would like to get a quote/proposal on your project or would like to have one of our consultants meet with you to discuss your business needs, and then please feel free to Contact Us. FiberTech Computer & Web Solutions, LLC officially began operation in 2010 as a registered company in the United States. We are a growing software and web Development Company that assists, consults, and produces content for a broad range of clients using creative solutions and the latest trends in technology. Our development center, is now equipped with a great pool of software professional's expertise in various technology domains, state-of-the-art technologies, well structured methodologies and coding standards and proven processes for large scale, complex software development and system integration. We are online marketing professionals, with the largest team of specialists in the state -our teams are efficient in agile project management which allows us to streamline the website design process to save you time and money! Find out more about how we can help you by checking out our Service Listings, reviewing our Project Portfolio and reading a little about Our Team. Fibertech helps enterprises transform into Digital Enterprises, so they can differentiate from competitors and better engage customers, partners, and employees. Using the FiberTech platform, companies can close the gap between business and IT to create digital systems of differentiation that drive front-line agility. Our mission is to provide high quality and cost effective products to our customers. We are determined to be the best in the technology market and to deliver the premium services to our customers. We assure you that no other vendor can match our global reach or depth and breadth of product offering. We aim to provide jobs that not only provide sustenance for our worker's families, but also allow them a space to make a difference in the world around them. We believe that providing Employees with decent working conditions in a technology-driven environment allows the company to attain the highest levels of efficiency. This structure of efficiency ensures our competitive edge in the open global markets. We can supply the highest-quality product on the market. We have superior quality control. That is how we bring our customers to us. In the end, our goal is to provide a positive experience to everyone. 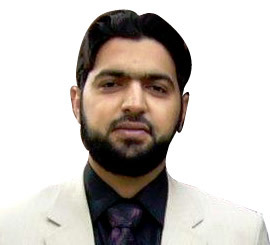 Ahsan Sultan is the Director of Operation at fibertech. His duties are to direct, administer, and coordinate the internal operational activities of the company in accordance with policies, goals, and objectives established by the Chief Executive Officer. And to assists the CEO. He is playing a vital role to manage in house works. 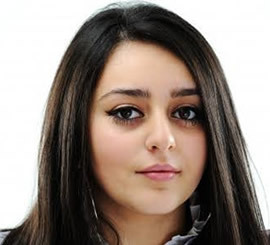 Saba Shahzad joined FiberTech in 2012 bringing in significant experience in managing human resources. She is responsible for the HR department management, personnel recruitment, employee's performance evaluation, their training and development, cooperation with higher education establishments, HRM business procedures development and implementation. 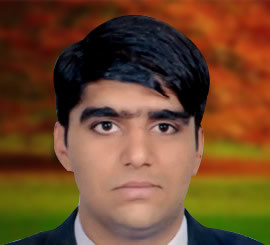 Tanveer is a Senior Director at fibertech, with over 12 years of web and application development experience. Tanveer came to fibertech after rendering his highly devoted services at different multinational companies and brings with him a diverse background. He is leading the in-house team of developers with his remarkable experience. Waqas Ashiq director of Business development and marketing position is responsible for product development programs, planning and implementing sales and marketing both short and long range, targeted toward existing and new markets. And enrich the position and image of a company through various goals and objectives. Copyright © 2014 FiberTechOnline.com. All rights reserved.